Home › What is an SSL-Certificate › The HTTPS protocol – why you should move on it? The HTTPS protocol – why you should move on it? Redirect users to a fake server that within a particular subnet may be available at the same address as the server to which the user wanted to get. 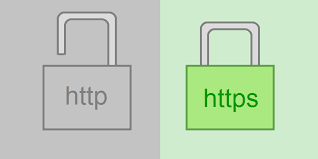 Now transition to HTTPS is quite simple. Previously, it was associated with the use of special equipment or increasing the load on the server. Modern processors are optimized to efficiently perform operations necessary to HTTPS. Non-profit websites can get the SSL certificate for free, and the price for commercial applications depends on for how many domains it should work. In the simplest cases, which are suitable for the majority of sites, the certificate fee is about $ 10. After moving to HTTPS protocols, you can use SPDY and HTTP / 2, and this, in turn, can accelerate the loading of pages by users, and even reduce the load on the server. Availability HTTPS considered in search rankings, but very weak. It is much less than many other factors, which are more than 200. But Google experts do not exclude that in time this factor will strongly influence the ranking. Search quality will not decrease: they carefully check each change in ranking algorithms and watch to find quality improves with every change that they make. Percentage of website that cares about the safety user data and supports HTTPS, will increase with each day. Google experts hope that changes will lead to an even greater prevalence of HTTPS and increase the number of sites that take care of the security of users.